Watch a quick video of the Atlas V launch. 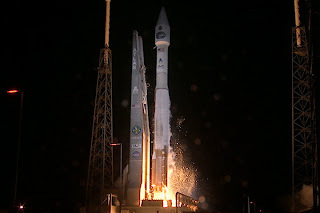 I stood on the causeway as a #NASASocial guest of NASA and watched the Atlas V launch Wednesday night. Bleachers were set up for us, but most of us stood at the water's edge, as close as we could get to the launchpad, which was still far away. Probably 80% of our group had cameras on tri-pods. I had set my camera aside with intention. I wanted to be totally in the moment -- just watch the miracle. I wanted to watch it, feel it, smell it and anything else I could do. 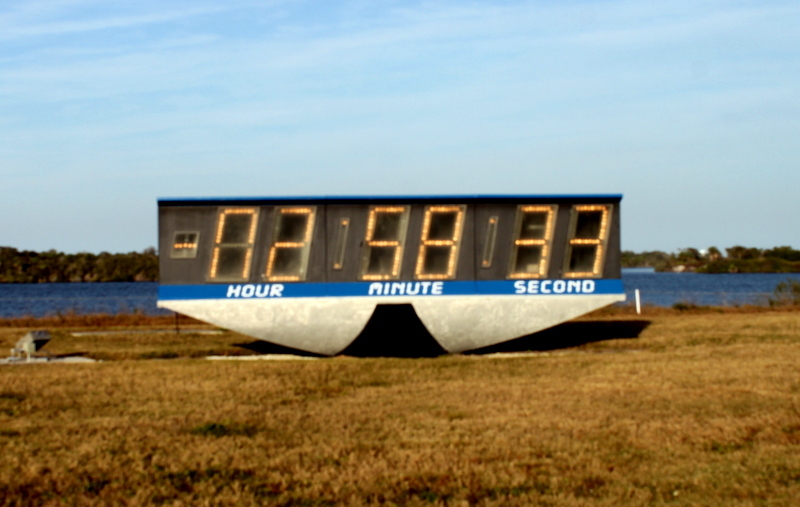 We visited the countdown clock earlier and that's when it really hit me that the launch was going to happen and I would get to see it. For weeks I had been watching the weather, holding my breath that the launch wouldn't get scrubbed. It moved from Tuesday night to Wednesday night and that was OK for me, but if it had to move to Thursday night, I would not be able to stay. 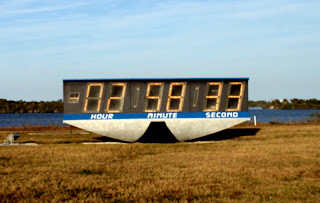 When I saw the clock at 2 hours and counting, I grinned with the possibility that I just might see a launch! We arrived at the causeway one hour before the launch, spilling out of the bus surprisingly quiet. Once cameras were set up, we talked with quiet reverence, a cool breeze blowing through. T minus 4 and holding in a 25 minute planned hold. My stomach began to tighten, my lips were dry and my heart raced. The speakers came alive and the countdown finally began in earnest. We had toured the control room so I could picture it in my head as I listened. At 1 minute, 55 seconds, the launch sequencing begins. 1:10 something is locked into position and I get the chills. I glance around for an escape route should something go wrong. I ready my feet to run if necessary. Then the countdown 10, 9, 8... listen at the link above. The straps drop, Atlas slowly elevates and I am surprised at the lack of rumble. Everything is slow and quiet. As the rocket turns a little my way, the noise picks up. I feel it in my chest. A flock of birds flying in the opposite direction. Another flock, quietly flies by. At 4.4 Gs, the rocket now looks like a bright, big star. 4 minutes into flight, MECO (Main Engine Cuts Off), they drop the booster engine and separate. The first burn puts it into high orbit. It will coast there for an hour or so then the second burn will put it into geosynchronous orbit over 22,000 miles away. The countdown announcer is still narrating and gives a report of the first separation, a clean separation at 96 miles out, velocity at 11,142 mph, 14 minutes in length. The rocket is invisible to the naked eye. Then a burst of light as the second engine ignites. The Centaur is now orbital. The walk back to the bus has a resigned atmosphere. Big sighs. A few chats about post-launch activities. I climb in my car and begin a late night drive north. I will never forget what I have just witnessed. 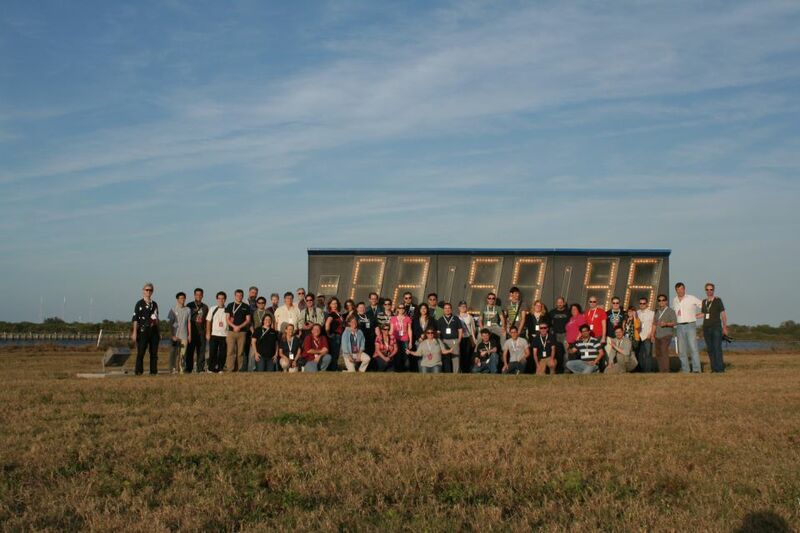 Full details and photos about the two day NASA event.